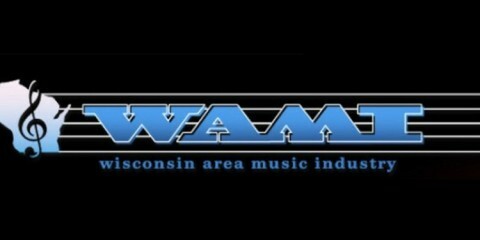 It's Flag Day, so here's everything we've published about that gosh darn "People's Flag of Milwaukee"
With 42 Lounge enjoying a downtown stronghold, pinball enthusiasts taking to bars in all corners of the city in droves, and events like the Midwest Gaming Classic thriving in nearby Brookfield (why Brookfield?! ), it’s safe to say there’s never been a better time to be a gamer in Milwaukee. 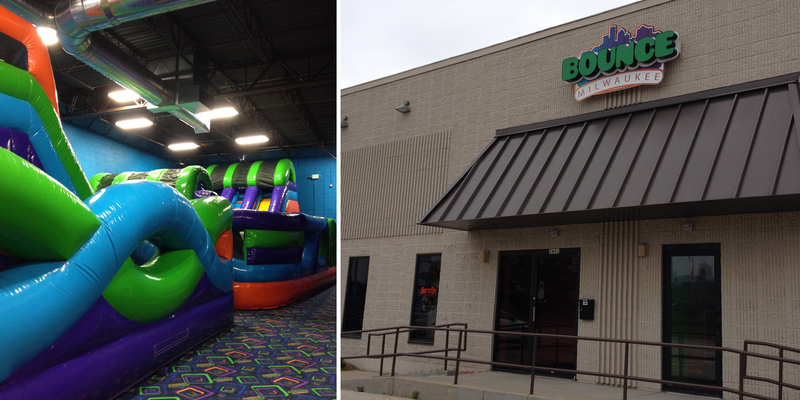 As if there weren’t enough places in town to cater to joystick jockeys, flipper fiends, and button mashers, Bounce Milwaukee (2801 S. 5th Court, 414-312-4357) spawned on the outskirts of Bay View and The Basillica shortly over a month ago. The new venture by the husband-wife team of Ryan Clancy and Becky Cooper-Clancy differs from the majority of other arcades and recreational facilities in Milwaukee proper in the sense that it strives to cater to both children and adults. The business model was met with ample excitement in small nooks of the populous. Though way too late to the party, Milwaukee Record needed to check out the city’s newest mom-and-pop indoor playground and arcade to see if it added to the region’s already vibrant gaming and recreational realm. The location: Bounce Milwaukee is tucked away on a dead end court off 6th Street. It’s so tucked away, in fact, that we drove past the entry road (Rosedale Ave., by the way) in our first attempt to find the place. Once we located it, we found a fairly nondescript-looking warehouse in an industrial park, save for an exterior sign with the Bounce namesake. Things inside could only become more entertaining. The service: As we entered the lobby, Clancy and Cooper-Clancy (holding an infant) welcomed us. Clancy humored a 12-year-old who anxiously inquired about employment opportunities. Before we could get in to play or even pay to do so, we had to fill out a painless one-time waiver on a tablet that took no more than three minutes to complete. Lives gladly signed away, we eagerly bounded down the corridor and entered the gaming area. The $9 fee we paid covered an hour of use in the three inflatable entertainment zones, unlimited air hockey, and arcade play. For an additional $10, guests can also use a rock climbing wall and play laser tag. There are also rooms set aside for private parties or (upon request) activities like dodgeball and soccer. The space: Any doubts the tiny, frills-free foyer brought were quickly dispelled upon entering the spacious fun zone. To our right, we spotted the inflatable “Sports Arena.” On the left, we saw the “Adrenaline Zone” and the “Moebius”—both occupied with playing children. We were neither in the mood to bounce nor creep out any kids, so we walked past both bounce houses and started off with some air hockey on a table tucked away in a nook at the back of the lower level. After a few games, we bypassed the small kitchen and checked out a small arcade situated at the front of the building that included classics like Off Road and Joust, but the selection was paltry and a couple of the limited machines were out of order. When we’d exhausted that, we headed to the upper level lounge area that seemed a better fit for adults. Milwaukee Record’s drinks and games: In the lower level kitchen, Bounce whips up made-to-order dishes like specialty tots, wraps, salads, pizzas (including the meaty “Milverine” and “The Milwaukeean” with Riverwest Stein crust), and pours exclusively local soft drinks from Sprecher and Black Bear, Rishi Tea, and Stone Creek Coffee. Up in the lounge, we were quickly taken by the 12 beers on tap, including brews from Central Waters, Sprecher, Lakefront, Ale Asylum, and New Glarus in addition to Miller Lite and Guiness. Also, we were taken aback by the 50 bottled and canned options, and more than 15 wines on hand. We ordered a pint of Lakefront IPA (all drafts are $4.50) as our boy Ted Perry did his thing on Studio A on one of two wall mounted TVs. The lounge has ample booths, tables, and bar space, but just three emulators loaded with dozens of 8-bit mainstays. Bounce could run into problems at night and especially on weekends with limited emulators, but at 5 p.m. on a weekday, this wasn’t a problem for us as we played Ms. Pac-Man, Galaga, Arkanoid (which does not translate to a joystick), and Mappy with no interruption. We now have the second highest score in Galaga, by the way. This will do for now, but we suggest early profits be allocated to bolstering the volume and variety of video games. The verdict: Bounce is a little lacking in terms of arcade amenities at this point, but makes up for it with a fully stocked bar, locally minded food offerings, and a buttload of bouncy items. In all, it’s an outstanding blend of child-friendly fun and adult-geared recreation. Welcome to Milwaukee, Bounce. We’ve missed you and we didn’t even know it.